Spread a thin layer of nut butter on the entire banana. Spread chopped nuts and seeds on a shallow plate and roll banana over it, pressing lightly so that the nuts and seeds stick to the banana. 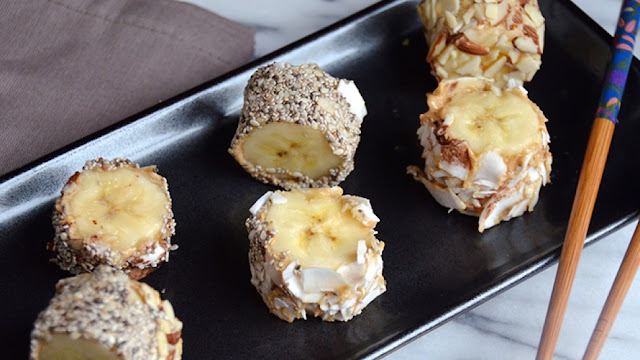 Slice covered banana into 1-inch thick slices. Eat immediately or place in the freezer until solid and then transfer to a zipped bag to store. Note: Each daily serving is 1/2 banana (or approximately 3-4 sushi pieces). 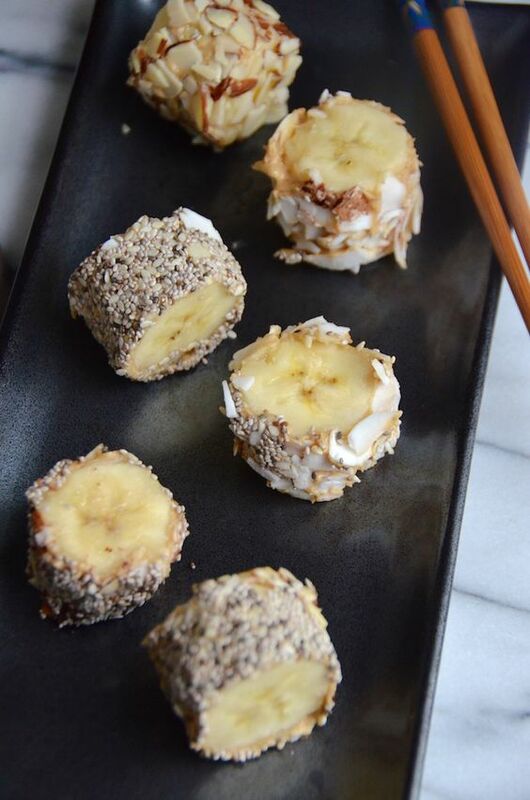 0 Response to "The 28-Day Shrink Your Stomach Challenge Banana Dessert Sushi"